Size: 3026 sq.ft. - 4038 sq.ft. Emaar Properties has developed coastal villas inspired by Spanish homes. The name of this ready to move project is Samara Villas in Phase 2 of Arabian Ranches community in Dubailand which was introduced in the year 2014. Arabian Ranches II is a master development located behind Phase I of Arabian Ranches at Al Qudra Road by Emaar Developers. The community consists of Townhouses & Villas with the status of Completed projects, Partially delivered projects & Under construction projects. In phase II the developers has launched about 8 different projects like Rasha Villas, Yasmin, Rosa Villas, Lila, Casa Villas (Delivered), Reem, Palmera (Delivered) & Samara of different sizes from 3 Bedroom to 6 Bedroom villas. Samara Villas lies in the central area of the community where the pricing starts at AED 3,100,000 and goes upto AED 4,955,888. 3 BR Villas - 3027 Sq.ft - 3 Bed + 3T. 4 BR Villas - 2227 Sq.ft - 4 Bed + 4T. 5 BR Villas - 3972 Sq.ft to 4310 Sq.ft - 5 Bed + 5T. Samara is extremely pleasant enclave with plenty of green nature & friendly atmosphere, play area and many good options for families. These villas are structured using elegant overhanging eaves, low pitched terracotta tiled roofs, wrought iron trimmings and interior defines sophisticated modern way of living. The daily utilities of residents are available right next door that reduces your travelling. A perfect home for small to large families. The company was introduced in 1997 know as Emaar Properties. The founder of this global property developer is Mohamed Alabbar. Emaar Group is committed to bringing new benchmarks with master planned spaces and iconic developments. It is a Dubai based real estate firm and with their string of new projects Dubai is once again booming real estate sector. The group has delivered homes in the most established communities - Dubai Hills Estate, Dubai Creek Harbour, Downtown Dubai, The Hills, Arabian Ranches, The Greens, The Meadows, Emirates Hills, The Lakes, The Springs, Emaar Towers, Emaar South, The Opera District & Dubai Marina. Till date Emaar Properties has handed over 37000+ residential units. Their grand projects are divided with the portfolios of Residential - Apartments & Villas, Mixed use developments, Hospitality, office spaces, retail spaces, business centers etc. The Arabian Ranches Samara Villas are surrounded by branded residential communities like Mudon, Akoya Oxygen, Liwan & Al Waha, Serena & Sustainable City. There are several schools near the community Jebel Ali Primary School, Gems World Academy and Jess School. Samara Villas is 38.4 Kilometers away from The Dubai International Airport, the nearest subway station is the Mall of Emirates. It is also near to Dubai Motor City which is home to Motor Sports Facilities, Residential Towers, Business Towers, Theme Park & Retail Spaces, these USPs of this community make it the most comfortable area in Dubai City. 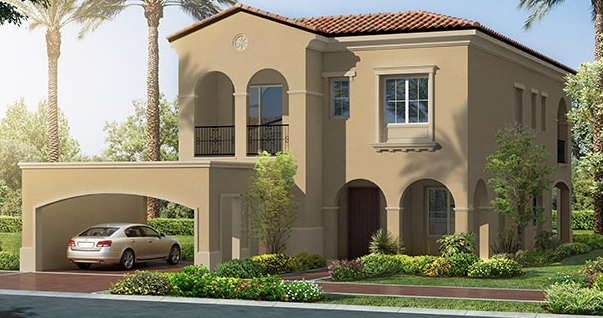 Arabian Ranches is a very rapidly developing property where other developers too working on projects. Emaar Samara Villas lies at the intersection of Sheikh Mohammed Bin Zayed Road & Al Qudra Road, Dubailand, Dubai, United Arab Emirates. With generous living space in Samara Villas, it is also proposed with the amenities & features like Golf Course with Porches, Patios and Galleries, retail outlets, Daycare Centre, Restaurants, Bistros, Bike Trails, Swiming Pools, Sheltered BBQ Area, Walkways with ample open area and other main highlights of the community.